There are many folks that saw the former Ronald Crosby catting around the Texas Hill Country in the early 70’s who probably would have scoffed at the notion of him making it to see age 75 and the year 2017. When the self-proclaimed gypsy songman first headed south from New York and hit Florida with a spring break ukelele and wanderlust for days, nobody could’ve predicted him making a career as a musician and songwriter. As he vagabonded his way through the south and partied with some kid named Jimmy Buffett in New Orleans to a degree that threw him in a drunk tank with a homeless old drunk that called himself Mr. Bojangles, Crosby began to put together a new identity. 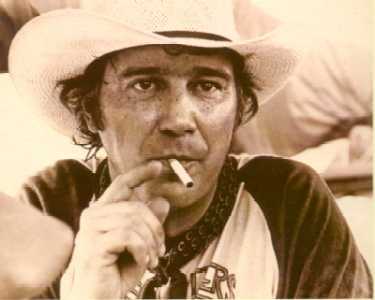 A folkie turned honky-tonker named Jerry Jeff Walker. Walker’s travels would eventually land him in Texas. Jerry Jeff stuck his flag down in Austin before Willie. As they both exploded out of middling 60’s career missives, Nelson became otherwordly and Walker became one of us. A man of the people. A rowdy rabble rouser who just wanted to have a good time. If a song, show, arrest, party, story, love affair, fight, adventure came out of it…even better. Good times were plenty in those days and the shows started becoming bigger. 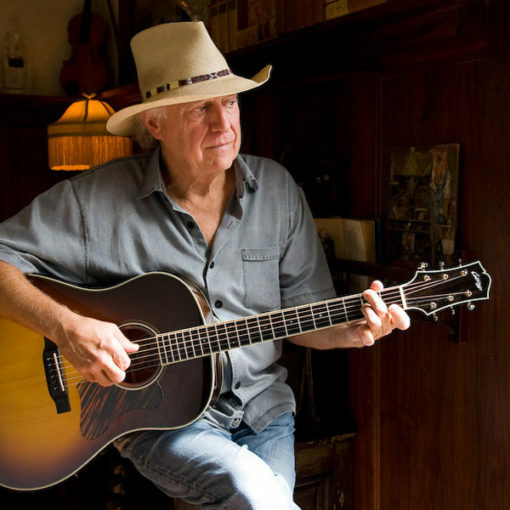 Jerry Jeff became a must see across the state and the south. His tolerance for all things illegal became legendary…as did his gigs. Thankfully, he’d met up with a sage PT Barnum type named Hondo Crouch who’d purchased a Hill Country hamlet called Luckenbach. 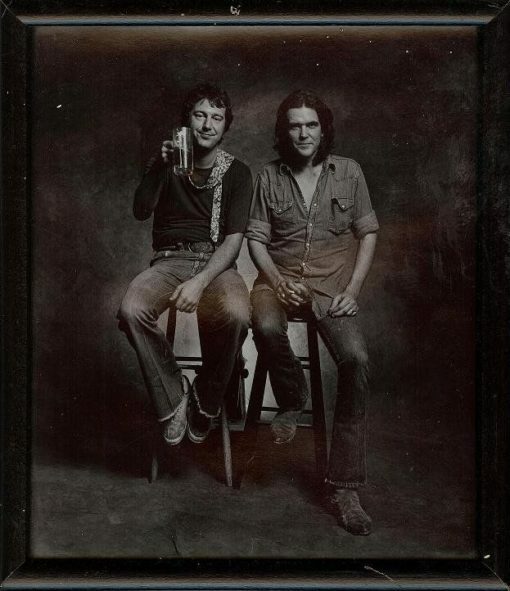 Between FM trips under the moonlight in a beat up old truck, a live record was conceived. 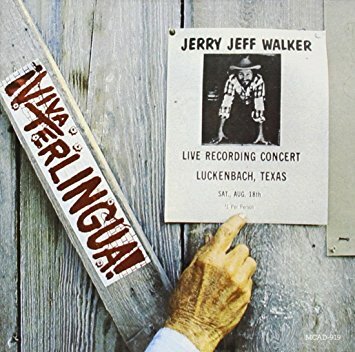 On a humid August night, wires were strung around live oak trees and tape rolled as Jerry Jeff and his ace Lost Gonzo Band (featuring Gary P. Nunn, Bob Livingston and the whole gang) tore into a seminal live recording that set a bar that is still the standard benchmark for live recordings in this kind of music. The studio recordings that Walker cranked out during this time are equally as important as his live masterpiece. Ridin’ High, A Man Must Carry On, Contrary to Ordinary et al became signposts on a map of how to do this whole independent thing the right way. Basically hit record in a living room and release it as raw as you’d hear it at John T. Floore’s and roll with it. He wrote many hit songs, but also had an ear for good ones, especially the work of Guy Clark. Jerry Jeff is perhaps the greatest interpreter of Clark’s songs ever. During this time period, the New York kid began a healthy fascination with the rodeo lifestyle and struck up a friendship with famed cowboy Larry Mahan. This western influence found its way into JJW’s music and added a new layer to the festivities. The 70’s roared on and at some point, Jerry Jeff looked around and realized he was the only one still at the party. Record deals, hedonism and antics that would make 1985 Motley Crue blush came and went. Back surgeries, marriage and kids slowed ol’ Scamp Walker down as he plowed through the 80’s. 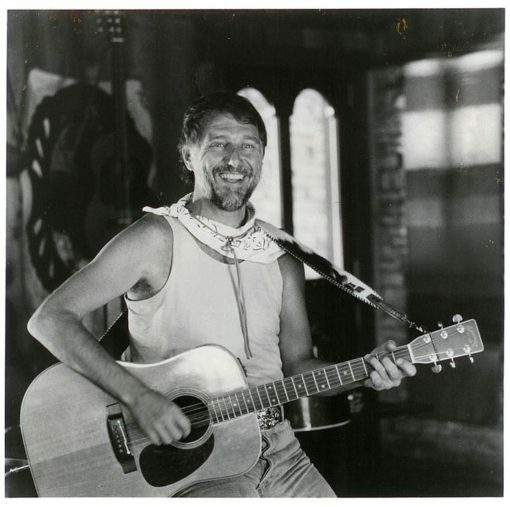 He became a fixture on The Nashville Network making numerous appearnaces on Ralph Emery’s Nashville Now show before becoming host of the Texas Connection; an ACL offshoot filmed in San Antonio that could never quite recapture the vibe of its Austin cousin. He released a memoir that is again right up there with Motley Crue’s The Dirt (doing blow in the Louisiana governor’s office anyone? ), slowed his touring schedule, bought some paradise in Belize and became a mentor to the latest generation. 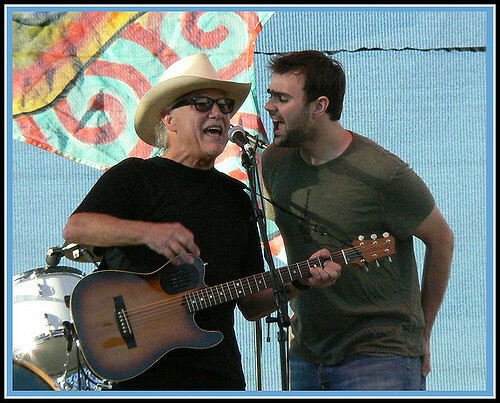 Cut duets with Jack Ingram, played festivals with Pat Green. The islands found their way into this iteration of Jerry Jeff and he found common ground with his old friend Buffett…releasing songs written during his time on his own private island. His son graduated high school in Austin around this time and went off to art school in London. Django Walker would return to Texas with a de facto bookend to Gary P’s “London Homesick Blues” and “Texas On My Mind” would become a new scene standard. At the dawn of Texas Music 2.0, Jerry Jeff was hailed as founding father. Somewhere between Willie and Ray Wylie Hubbard. He played the same festivals and venues as the kids who looked up to him until he just decided he didn’t want to anymore. Back pain and lack of motivation combined with the beautiful Belize distraction to cause the tour schedule to dry up to birthday bashes, private parties, Gruene Hall and some one offs. That’s where we find Jerry Jeff Walker at 75. Still doing things on his own terms. A survivor. One that many swore would never make it here. He’s a Texas Treasure. Get out and see him next time you have an opportunity. Tell him thanks and drink one for him…he doesn’t do that anymore. We remember all the great times fondly, from the cruise in ’93 to my retirement party in ’99. Thanks for the memories. Have been following JJW for over 40 years from Maine to Texas and anyplace in between. Saw him at The Birchmere last weekend. Great venue and great show, as usual, with his son. Here’s to many more years. I hope. Django said we’ve got 20 more!! Hope so!! I just want to tell you that I am all new to blogs and really savored you’re blog site. More than likely I’m planning to bookmark your website . You definitely have perfect stories. Thank you for revealing your blog site. Excellent post. I was checking constantly this blog and I am impressed! Very helpful info particularly the last part :) I care for such information much. I was seeking this certain information for a very long time. Thank you and good luck. Hello there, I discovered your web site by the use of Google even as searching for a comparable subject, your site got here up, it appears to be like good. I have bookmarked it in my google bookmarks. Needed to send you that tiny note so as to thank you very much yet again for those splendid strategies you have shown on this website. It is certainly surprisingly generous of you to provide unreservedly precisely what many individuals would’ve advertised for an ebook to help with making some money on their own, certainly since you might well have tried it if you ever decided. Those tips also worked like the fantastic way to comprehend the rest have the same dreams the same as my personal own to figure out significantly more related to this matter. I am certain there are lots of more pleasurable occasions ahead for those who look into your website. Thank you so much for giving everyone an extraordinarily brilliant opportunity to read in detail from this website. It’s usually very pleasurable plus jam-packed with a good time for me personally and my office fellow workers to visit your website more than three times per week to read through the fresh things you will have. And lastly, we are always fulfilled with the excellent secrets you serve. Selected 3 facts in this posting are truly the simplest I have ever had. I¡¦ve been exploring for a little bit for any high-quality articles or blog posts on this sort of house . Exploring in Yahoo I at last stumbled upon this web site. Reading this information So i am satisfied to convey that I’ve a very excellent uncanny feeling I found out just what I needed. I such a lot undoubtedly will make certain to do not omit this web site and give it a look regularly. hi!,I like your writing very a lot! share we communicate more about your post on AOL? I need a specialist in this space to resolve my problem. Maybe that’s you! Taking a look ahead to see you. Thanks a lot for sharing this with all folks you actually realize what you’re speaking about! Bookmarked. Kindly also consult with my web site =). We will have a link trade arrangement between us!